Conceived in the early 1950s, and designed by well-known Canadian course architect Howard Watson, the Caymanas Golf Course opened for play in 1958. From the Blue tees it is 6844 yards, and from the White tees is 6265 yards. Yardage from the Red tees is 5532 yards. 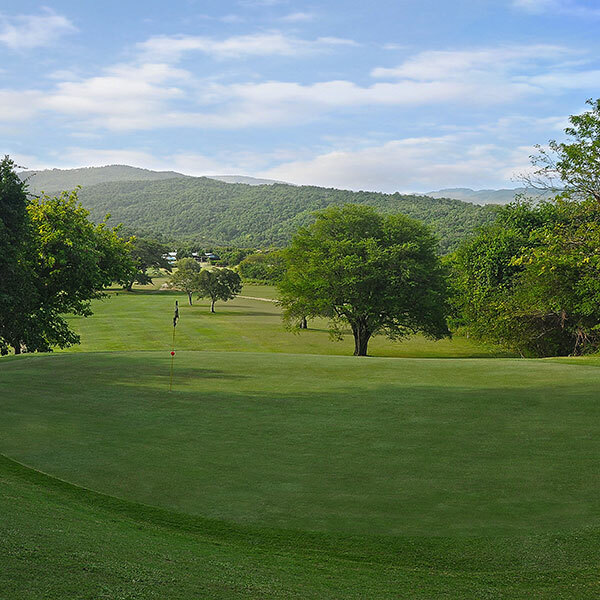 Numerous beautiful cottonwood and guango trees decorate the landscape and the fairways meander through limestone hillocks. 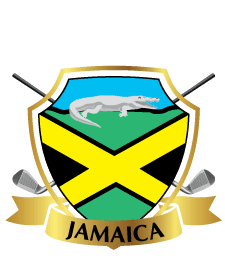 Caymanas offers an enjoyable and exacting test for golfers of all abilities. See some of the more memorable holes below. From the top tee, this 505 yard par 5 offers a breathtaking view of the clubhouse in the distance. Down below, the narrow fairway doglegs left to a small green. Big hitters may be tempted to go for it on their 2nd shot – carrying the tall trees and rocks – but beware that last branch that will cause disaster. 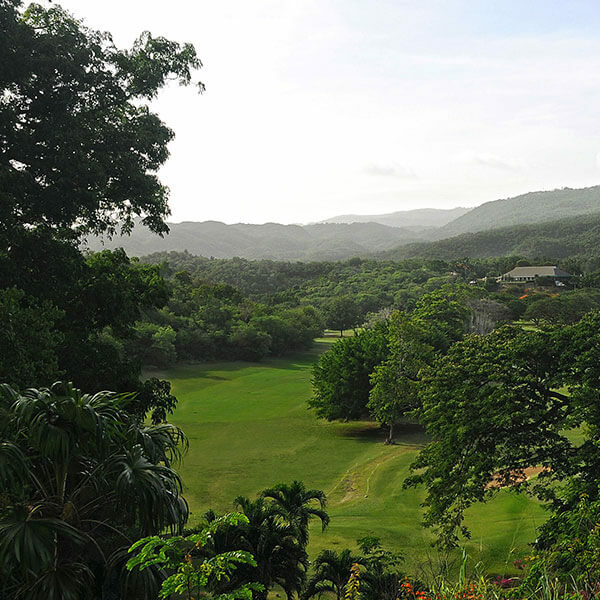 A very short par 4 – from an elevated tee, the fairway slopes to the right, deflecting ill-placed shots into the woods. A crater-like bunker guards the small green and for what might appear to be an innocuous little hole, you’ll be happy to walk away with par. 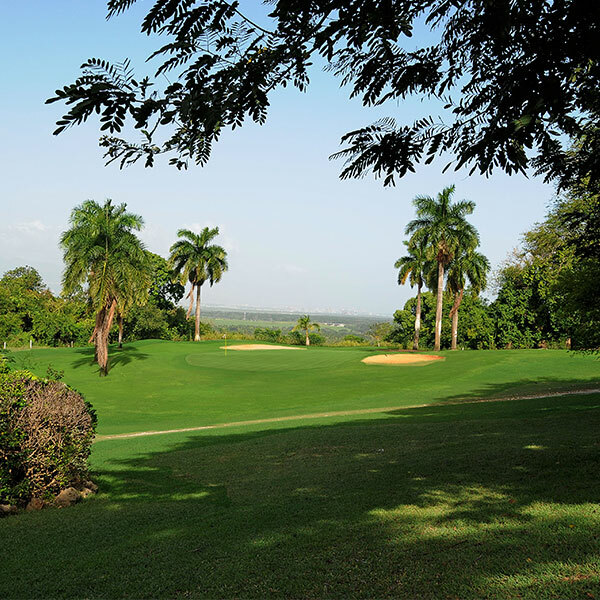 Our signature hole – a 182 yard par 3 with a stunning view of Kingston as a backdrop. Choose your club carefully, as out-of-bounds lurks just behind the green and short shots are punished with a difficult uphill chip. A long par 4, considered by many to be the most difficult hole. The elevated green sits like an island in the middle of a rocky hillside. A slight error with your approach probably means you play the shot again, and again, until you finally get one on the green. 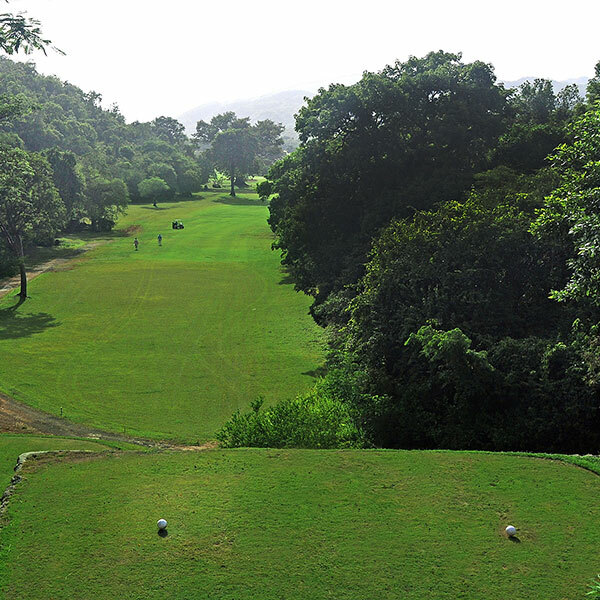 A visually intimidating par 5 with the blue tee box sitting fifty feet above the fairway. 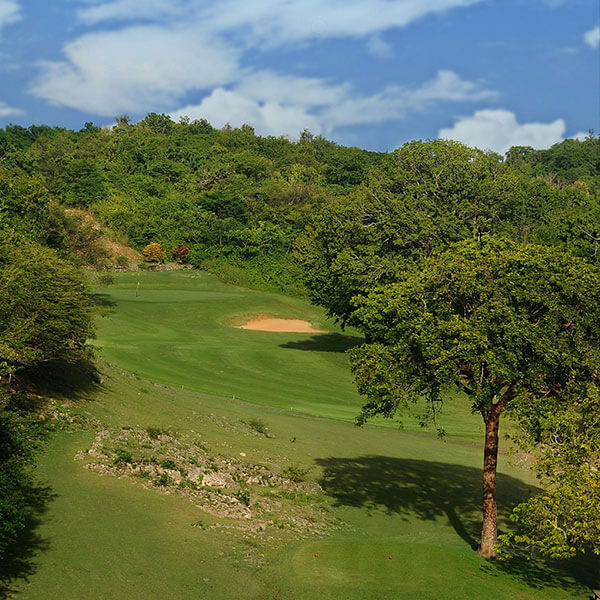 Out-of-bounds left and a rocky, tree-covered limestone hillside to the right, the tee shot will test your nerve.